A YouGov survey recently showed that 29% of people have received a gift card they never used. Another 20% receive gift cards and forget to use them. Millions and millions of dollars are wasted this way and Christmas gift cards are no different. So, if you’ve stumbled across an old gift card, you may be wondering whether or not you can still use it or even regift it this year. Here’s what you need to know about expiration dates and gift card laws. About 42% of people who receive gift cards as presents use it right away. However, if you’re not able to use yours right away, you may want to check for any rules associated with the card. By law, gift cards cannot expire in less than five years. There may be fees for not using the card though, which will be outlined in the fine print on the card or within the paperwork that comes with it. In 2009, President Obama signed the Credit Card Accountability Responsibility and Disclosure Act (the CARD Act). This law was designed to protect consumers from credit card companies but it also included laws for companies that sell gift cards. As mentioned above, although gift cards cannot expire in less than five years, you may be subjected to non-use fees and other fees. Below are the rules companies must adhere to. Gift cards cannot expire in less than five years. You have five years after the date of activation to use your gift card. For the most part, companies will print the expiration date on the card itself. However, after the law was passed, most companies did away with expiration dates altogether. To be sure you understand your card’s expiry information, read the front and back of the card closely. Non-use fees cannot be applied until one year has passed. Gift card companies used to immediately begin charging monthly fees if you didn’t use the card right away. The law passed in 2009 made it so they would not be able to charge inactivity or service fees until the card had been unused for at least one year. Additionally, no more than one non-use fee can be applied per month. Activation and reload fees are legal as long as they are properly disclosed prior to purchase. Make sure you read your card for any activation or reload fees. Disclosure of these fees is required by law. Promo gifts cards and prepaid phone cards are not covered under the Obama-era laws. Prepaid phone gift cards, promotional Christmas gift cards (or other promos), and paper gift certificates (usually used with small businesses) are not covered under these rules. It is important to use these cards ASAP as they can expire and often have strict expiration rules. Many states have also put laws into action to protect consumers buying gift cards as well. It is important to note these laws take precedence over the law signed by President Obama. Californians, for instance, can cash out gift cards that are less than $10 and any store-issued gift card cannot expire. If you are one of the 20% who typically forgets to use your gift cards, consider putting them in your wallet in front of your most-used card. This will remind you that you have the option to use the gift card instead. You can also set up shopping plans and lunch/dinner plans with store and restaurant-specific cards to make sure they get used. All in all, it is important to carefully read your Christmas gift cards and any other gift cards you receive to see when they might expire (if they do). This will keep you from wasting money and make the most of your gift. It’s time to honor that special woman in your life. 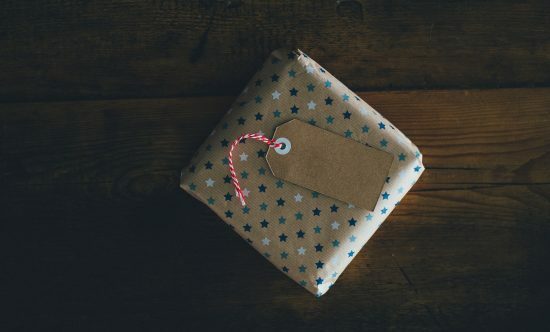 Mother’s Day is approaching, and whether you are buying for your mother, your wife, or both, consider some inexpensive alternatives or ways to save money on classic Mother’s Day gifts. Flowers are a popular Mother’s Day present, but you don’t necessarily have to pay flower shop prices. Instead of paying for a vase and the extra arrangement costs, find your own simple vase and make your own arrangement. You can find inexpensive yet beautiful flower bundles at most supermarkets that you can turn into a lovely bouquet on your own. Take the time to find out what types of flowers she prefers and which property is the most important to her (color, appearance, fragrance, etc.). Mother’s Day is the perfect time of year to put out most new plants. Farmer’s markets and local gardening society meetings/sales can be great places to pick up plants without paying holiday markup at home improvement stores or nurseries. A well-thought out handmade gift can be worth far more to your mother than the money you spent. For example, customize a picture frame with sentimental mementoes and insert her favorite family picture. If you are a knitter, make her an afghan or a scarf. An Internet search of “Mother’s Day DIY gifts” should spur your imagination and help you find a project that your mother will love within your price range and skill set. Does she have a favorite piece of furniture that is in need of repair or refinishing? If it’s in your skill set to do so, consider tackling this project. It might be difficult, or unwise, to do this as a surprise, so you may want to make the offer first. Does your mother have a favorite hobby such as knitting or gardening — or perhaps she likes to golf or rebuild vintage Chevys? Regardless of her hobby, find subtle ways to find out what accessories she needs. Take an interest in her hobby and you are likely to find a suitable choice. Shop well in advance so you can take advantage of any coupons or sales related to her hobby if you can, and try to use your credit card rewards. Got a hard-to-please mom? Consider gift cards so she can redeem them whenever she wants for whatever she wants. Mother’s Day is chock full of sales, rebates, and coupon opportunities. Make sure you check your local stores, newspapers, websites and social media for deals related to your choice. Whatever you decide to shop for or make, start early. You will generally have the best selection and avoid pre-holiday markups. If you are making a Mother’s Day present, starting early gives you a little extra cushion in case you have a mishap. Mom probably won’t mind if her homemade gift is a bit late, but why take the chance? The most important thing of all is to know your mother’s likes and dislikes. It’s a good idea to notice potential gift ideas throughout the year and stash them away for future reference. You are more likely to come through with a pleasant surprise that way (but make sure she hasn’t already bought the item for herself). With a little time and effort, you can make Mother’s Day even more special. However, don’t forget to give your Mom the most important gift of all — your time and attention. This last gift on our list may not cost you a dime, but Mom will value it most of all. Let her know that you love her and would do anything for her, not just on Mother’s Day but throughout the year as well. 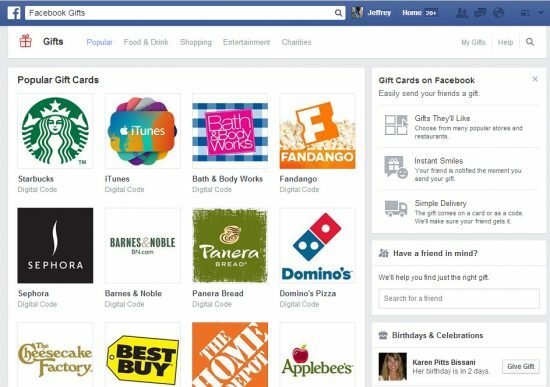 If you found it annoying when Facebook suggested you purchase and send a digital gift card to someone you hadn’t seen in years because it was their birthday, you weren’t alone. If you were one of the users who never used the service, you weren’t alone either. Facebook will be discontinuing their Facebook Gifts service on August 12, 2014 due to underwhelming demand. The service has been around for two years. It was launched in September 2012 after Facebook purchased the Karma gift-giving app, but the giving gift idea never caught on with users. It originally offered actual gifts such as cupcakes, but shut that part of the operation down a year ago when it noted 80% of the purchases from the service were gift cards. While Facebook Gifts will be history, that doesn’t mean the company is exiting e-commerce. In fact, the company sees e-commerce as a vital component in their revenue strategy going forward. They are simply refocusing the strategy to other areas where they hope to entice those on the site to make purchases. A good example of that was the recent test of the Buy Button, which allows users to make one-click purchases in their News Feed without ever having to leave the website. The company is betting that users will be more willing to buy merchandise for themselves if they are able to do so easily than they were giving gift cards to people they hadn’t been in contact with for years except through Facebook. For those who were given an online gift card from a friend which hasn’t yet been used, there’s no need to panic. The cards will continue to be valid and redeemable after the August 12 shutdown. There may, however, be a merchant expiration date with the gift card, so check to make sure you spend the gift card before that date comes around. As more kids get on the Internet at younger ages, I’m hearing about more and more on-line money accidents. These “accidents” occur when kids play paid online games or games that let players buy items in the game, when they download music or eBooks from shopping sites, or when they bid on items on eBay. They end up spending a ton of money on stuff that you didn’t authorize. They may not even realize how much they’ve spent, or that they’ve spent real money. Sometimes it happens because the kid genuinely doesn’t understand what he or she is doing. Other times it’s because the kid is stealing from mom and dad. However it happens, it often gets quite expensive before it’s caught. Part of the problem is that kids often understand how computers work before they understand how money works. They are able to navigate the web sometimes as early as two years old. They understand how online games and social networks operate, often better than their parents. They are able to manage online preferences and settings so that they can do what they want. Unless the parent is super vigilant, it’s just too easy for computer savvy kids to spend money online. I hear from parents who say that their kids think their credit cards are “magic” and “free money.” Kids that think like this have no idea what they’re really doing when they buy all those in game goodies. On some sites, the fact that you are spending real money is cleverly masked and transactions so smooth so that only adults who are paying attention would know that money is being spent. Certainly young kids don’t understand it. Keep the computer in a public space in the home where you can watch it: Supervise children when they are on the Internet. When you can see what your kids are doing on the Internet, you can intercept problems before they become major. Keep your credit cards locked up or out of reach: You may think your kid is as honest as they come and he may be. But leaving a credit card out in the open is a temptation and when friends are urging the kid to buy this or that, temptation is hard to resist. Kids who don’t understand how money works may also grab a credit card thinking, “This is the secret money thingie that mom uses. I’ll use it, too.” You’re better off just keeping your purse or wallet out of reach. Enable parental controls: If you’ve had repeated problems, use your computers’ parental controls to block web surfing or get parental control software that will enable you to block specific sties or surfing activity. Don’t link credit cards to downloading or shopping accounts: Most sites give you the option of “saving” credit card information for quicker shopping. Decline it. Having the credit card stored makes it too easy for a kid to just click and buy. 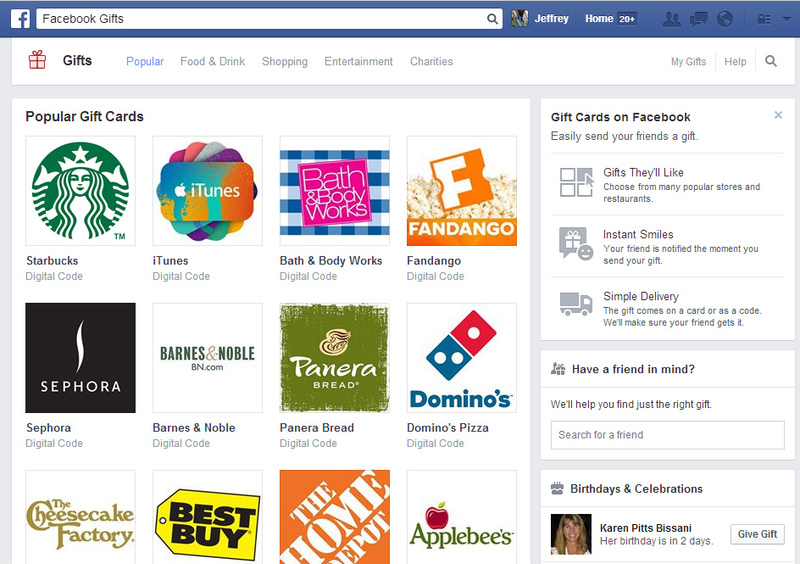 Use gift cards, if possible: Sites like iTunes will let you use gift cards for your purchases. There is no need to link a credit card to the account and when the money is gone, it’s gone. A kid can only blow so much money in a gift card funded account. Disable all in-game/service purchase settings: Most of these online games and websites have settings that govern how items are purchased online. Visit each game or site your kid plays on and disable all purchase settings. Look carefully at the device your kid is using, too. Many cell phones have their own purchase settings that you need to override, as do various services like iTunes. If you’ve already lost some money because your kids bought things online that they shouldn’t have, you can try to recoup some of it. Call the company or provider and explain to them that your minor child made unauthorized purchases. Some companies will refund all or part of your money since minors are not supposed to conduct online transactions. However, their generosity (if you get any) is generally only good once. After that, it’s on you to stop your kids from buying things they shouldn’t. 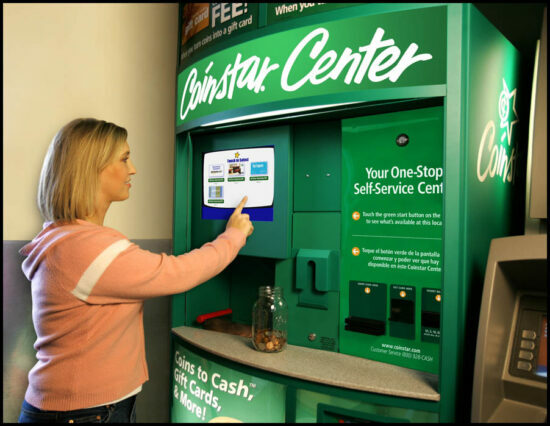 You can also simply return unwanted merchandise, although you may have to pay restocking fees. If your problem is a kid who doesn’t understand money and how it is earned and spent, it’s time for some lessons. Use the online accidents as a teaching tool and then enhance your supervision so it doesn’t happen again. If your problem is a dishonest kid who, for whatever reason, knows full well that what he’s doing is wrong, then you have other problems that need to be addressed and you’ll probably have to put in stricter controls and punishments. However these “accidents” are occurring, parents need to familiarize themselves with their computers and control settings and supervise their child’s use of the Internet. If you don’t understand computers, get someone to teach you. Kids today are computer savvy, so you have to be savvier.